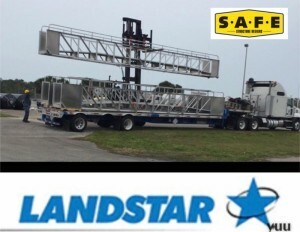 S.A.F.E Structure Designs, a global leader in the design, engineering and manufacturing of OSHA compliant ergonomic safety-first aircraft maintenance stands, fall protection platforms, and hangar equipment, has signed an exclusive contract with Landstar to transport and deliver all of S.A.F.E.’s products throughout the United States and Canada. With S.A.F.E. Structure’s rapid success expanding with diverse demands to manufacture customized products and supply them to such customers as the United States Navy and Coast Guard, Landstar has proven its excellence and now handles all of S.A.F.E.’s logistic and transportation needs with the most reliable delivery and timeliness of service. 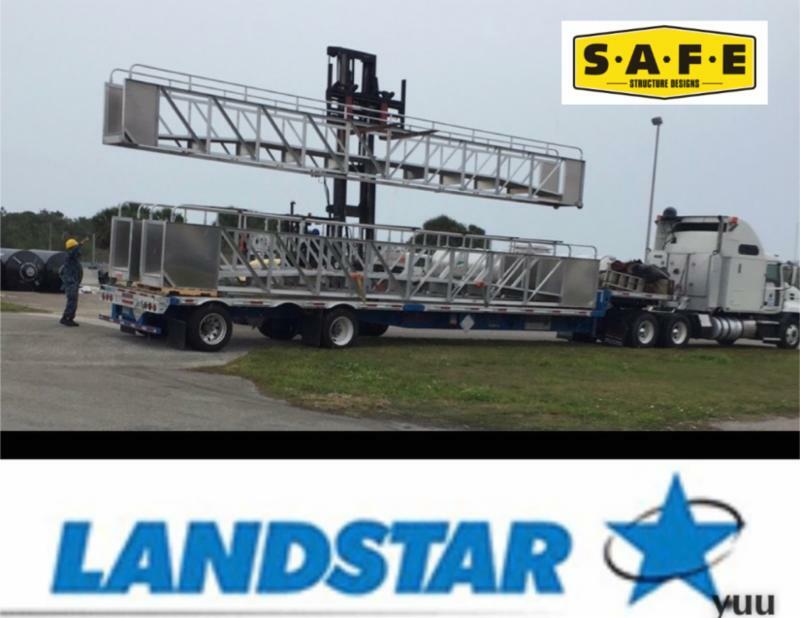 Success with Landstar has been largely due to S.A.F.E.’s relationship with Landstar agent, Phillip Tirado, who oversees and controls all of the shipping logistics for S.A.F.E. Tirado’s attention to detail for scheduling shipments, packaging and transporting further increases S.A.F.E.’s ability to guarantee the highest quality, custom designed products from inception to final delivery while continuing to be cost effective against competitors with similar product lines.